They currently live in the Dallas-Fort Worth Area. We have a lot of amazing planner friends that travel to Dallas for Indian weddings regularly, but don't physically live here. The benefit to having someone local is no travel cost, easier to meet, and less chance of something happening to them on the way to your wedding. They have multiple years of experience serving the same type of clients we serve in terms of both traditional Indian weddings and mixed/fusion weddings. Its important to value all cultures irrespective of the number of guests coming from each side. Our couples in the recent past have loved working with them. We only wanted to give you the best South Asian wedding planners in Dallas. We like their work and we enjoy working with them. This is your big day and the last thing you want to worry about is vendor drama. That is a thing, believe us, we have watched it happen. The following Top 10 Indian Wedding Planners in Dallas are ranked based on who we have worked most often with in the last few years. Hala is the owner and operator of Events by Hala. She has secured the first position on our Top 10 Indian Wedding Planners in Dallas list. She is the first person who started focusing on planning Indian weddings full time. Way before it became cool to plan Indian weddings, Hala was the first Non-Indian planner to entire the industry. She took the time to understand the different South Asian cultures and people. We have done many weddings together in the past and her work is always consistent and has been that way for years. Recently she has limited the number of weddings she does in a year. Now we see her at luxury Indian weddings or luxury fusion weddings that we are doing together. Check out this video from Mike & Nisha's wedding at Union Station. Fill out the form on this page and we will send you the contact information for everyone on this list. Also if you are still looking for a venue check out our blog on the Top 22 Indian Wedding Venues in DFW. Christina is the owner of Elaan Events. She actually wears a few different hats. Christina is also the owner of Blue Flame Productions, Dallas' premier Indian dance school and wedding performers. Most of the weddings Elaan does are either Malayalam Christian or North Indian Hindu. We worked together many times including, Nikhil & Vimmy's wedding weekend at Omni Frisco. Check out the video from the first Indian wedding at the venue in March 2018. Amy is the owner of The Storybook Events. She is very detailed oriented and does a great job communicating. The company was originally based in Houston, but they are now relocated to Dallas. Most of their weddings are either Gujarati Hindu or Ismaili Muslim. We have done weddings in Dallas and the surrounding states together. Check out this video from Urvi & Sunny's wedding at SLPS. If you don't want to get married at a hotel, check out our blog on the Top 9 Venues in DFW. The One Event is owned and operated by Sejal. We have done many weddings together, and all of them have been Gujarati weddings. Sejal has found her niche and is doing well in it and deserves to be on the Top 10 Indian Wedding Planners in Dallas list. 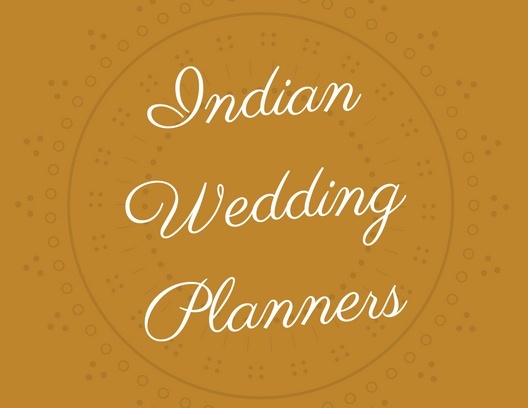 If you need a planner for your Indian Wedding, fill out the form on this page and we will send you everyone's phone number and email address. Check out the video from Danny & Nikita's wedding. This was one of the biggest and best Gujarati Weddings in Dallas. Shelley is all about focus and quailty. She does a few weddings a year, but they are always grand. Most of her weddings are young Malayalam couples who want a fun wedding that runs smoothly. Check out how much fun Matt and Kavya are having at their fusion wedding. Find the perfect Indian Wedding Planner for your wedding in Dallas by filling out the form on this page. Get everyones contact information right away on one document. Electric Karma International is based in Houston and is owned by Therese. They have offices in different cities. The Dallas territory is managed by Bharati and Buvana. We have done weddings with Bharati in Barcelona (Spain), Longview (Texas) and multiple events in Dallas. They don't take on many weddings. Check out this video from Maha & Abdullah's wedding at Omni Dallas. If you are looking for a great photographer, check out our blog. Siji is the owner of Piece of Cake Events. We have done many weddings together. Siji's main focus is Malayalam weddings. All of the weddings we have done together are couples with both sides being Malu. She recently got married and we had the pleasure of handling the music, lighting and special effects. Check out this video from Greg & Lima's wedding which we did together at Irving Convention Center. Number 8 on the Top 10 Indian Wedding Planners in Dallas list is Taylor from 5eleven Events. She does traditional Texan weddings but a majority of the weddings she does are Indian. Every wedding we have done together are for fun Ismaili couples that want to make their wedding weekends a lot fun. Check out this video from Imran & Sofia's wedding weekend that happened at Verona Villa and Hilton Granite Park. We have done multiple weddings in the last few years with Rama. The only reason she is at the bottom of the Top 10 Indian Wedding Planners in Dallas list is because she recently started focusing on planning Indian weddings. If you need an Indian Wedding Planner in Dallas, fill out the form on this page and we will send you everyones' email and phone number. Check out this video of Charles and Neha's wedding at Omni Dallas. Cloud9 Makers is owned and operated by Prathyusha. She recently completed her formal training for wedding planning. She is the newest and youngest member of this list. We have done multiple weddings together. Her main focus is on South Indian Hindu weddings but can do any type of wedding. Here is an Ismaili wedding we did together for Farha and Sameer. A wedding is the happiest moment in your life and you should choose an Indian Wedding planner in Dallas that you love. Over our 24 years of bringing joy to thousands of couples, the DJ Riz Entertainment team has performed many times with everyone on the Top 10 Indian Wedding Planners in Dallas list. Given these points, if you would like to talk about which South Asian wedding planner you should select or want to talk to us about wedding music and lighting for your wedding contact us here.